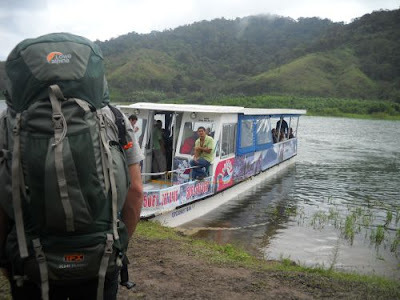 It really cuts down the traveling time vs. public bus that goes around lake Arenal. Jeep Boat Jeep or Taxi Boat Taxi: It's a transportation from Arenal Volcano area | La Fortuna | El Castillo* to Monteverde or vice versa. Transportation is DOOR TO DOOR SERVICE, and duration is approximately 3 hours. Pick up is at your hotel in La Fortuna, El Castillo* at 8:30 a.m. and 2:30 p.m. Pick up is at your hotel in Monteverde at 8:00 a.m. and 2:00 p.m.
Drop off is in your hotel. *Add $20 for El Castillo extension (1-4 persons).